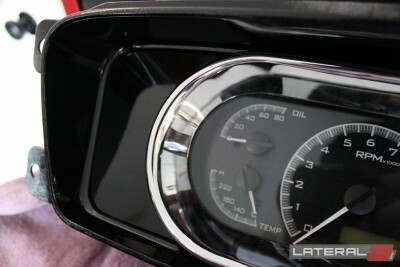 There’s nothing like seeing the needle on a tachometer climb all the way to red line, and feeling the adrenaline rush that comes with it. 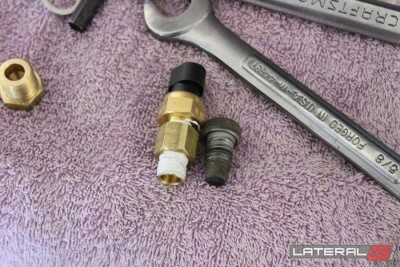 Your palms are sweaty, heart is racing, and you want to do it all over again. 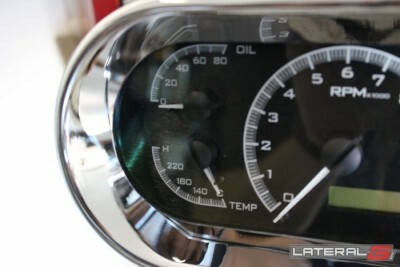 The gauges in your ride are the direct correlation between feeling and visually seeing that rush. 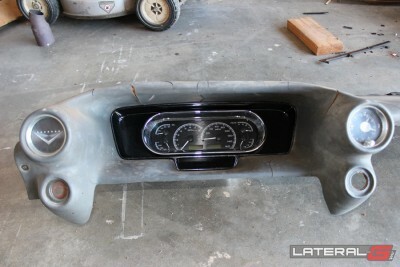 Gauges are just as important to the cars looks and vibes as the wheels and paint. 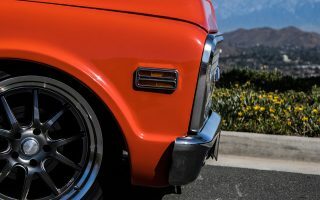 They set the mood of the car, from a basic daily-driving Civic, to a mean looking Camaro. 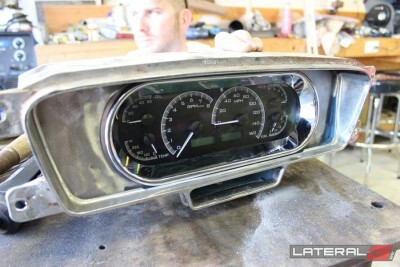 Even when you’re checking out a car, for the interior you check out how the gauges look. 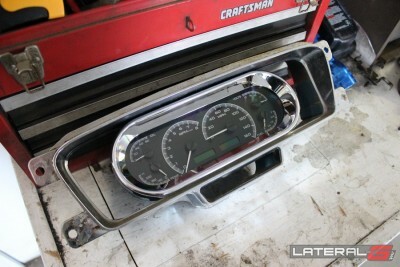 But what if you want more out of your gauges – to go beyond the redline? 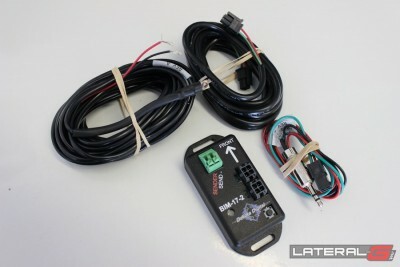 We wanted more information at our fingertips than simple tach, speedo, and fuel. 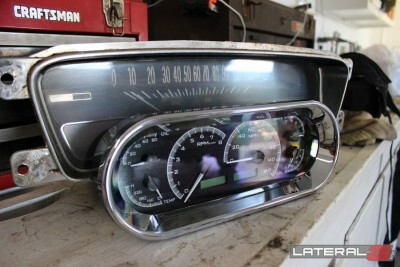 We love that modern gauges in a car display all sorts of information classic cars never had: read-outs of speed and tachometer, air temperature, miles per gallon, compass, tire pressures, and the list goes on and on. 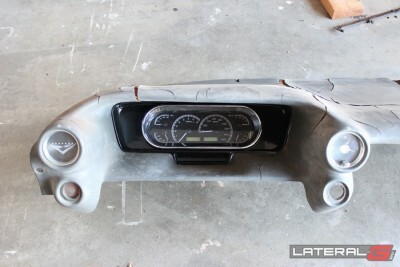 But how do we incorporate that easily into an old car? 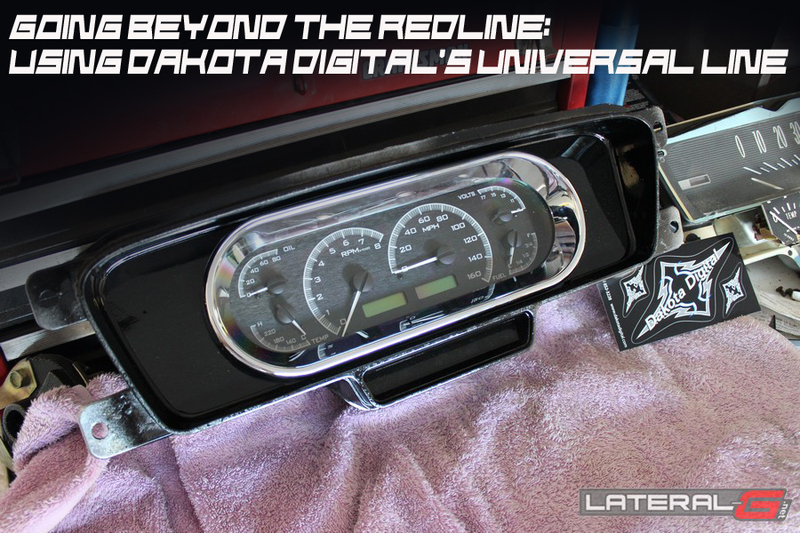 We noticed that Dakota Digital has expansion modules that tie into their VHX gauges, allowing you to add on many new car features with their gauges. 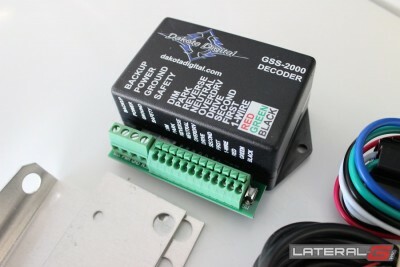 Now we can easily get that information, in a neat and concise package. We started off by grabbing a set of their universal VHX-1018 gauges for a project car, so we can start with modern, accurate gauges. 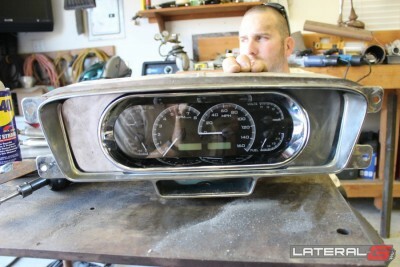 The gauges that were in the car had a non-working speedometer, fuel, and water temperature on a “Cold to Hot” scale. The rest were idiot lights, which is never adequate in our book. 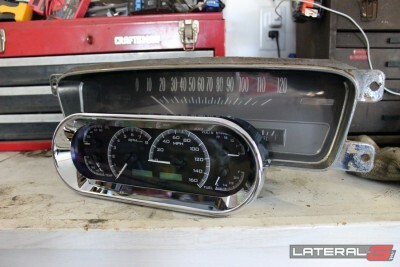 The new VHX gauges gave us a few gauges that our car didn’t have from the factory: tachometer, oil pressure, water temperature, along with all their built-in features such as 0-160MPH, quarter mile time, top speed, and so forth. 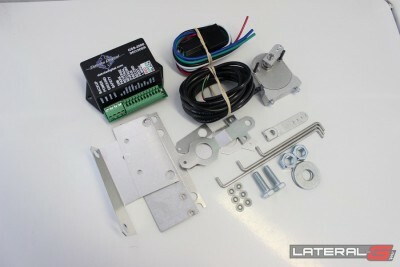 For the expansion modules, they have a whole host of them to display just about anything you’d want from exhaust temperature, compass, outside air temp, air bag pressures, to voltages and everything in-between. 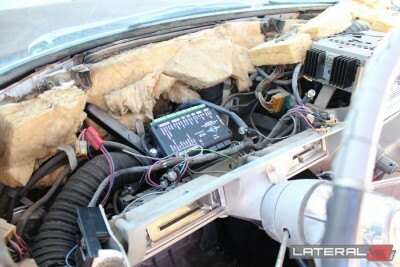 Since this car was purely a cruiser, we just wanted a few simple add-ons. 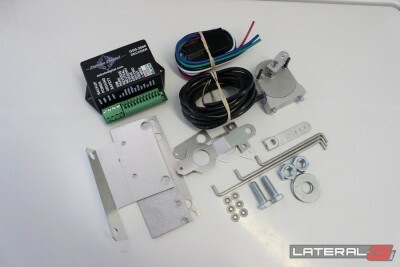 “The VHX Series of instrumentation was designed for nearly unlimited expandability. 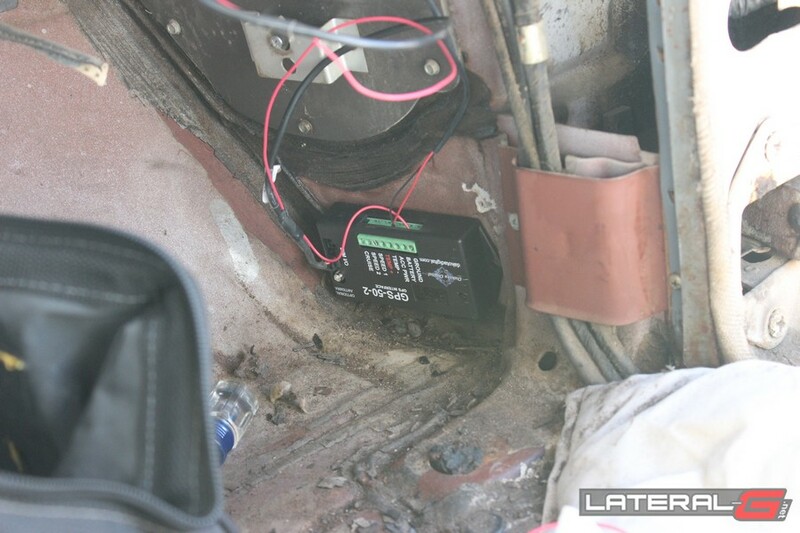 We understand that each application is different from the next one, so limiting an instrument system to a standard set of readings just wasn’t enough. 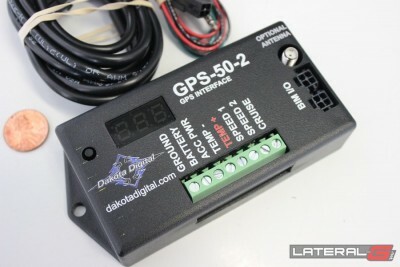 From extra pressures and temperatures, to indicators for gear position and GPS-based information, a system can be made as comprehensive as desired,” stated Justin Olsen from Dakota Digital. 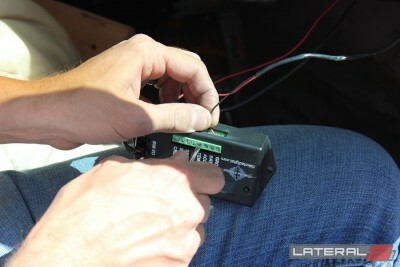 Having a compass and outside air temperature in the car is a nice, modern feature that we really like. 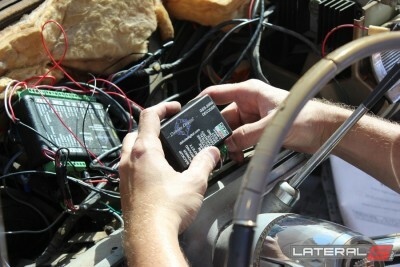 The other problem we ran into was that the transmission in the car didn’t have a mechanical speedometer output, so we needed a GPS sending unit as well. Lastly, because we put in a modern 4L80E transmission in a steering column shifted car, we wanted to know what gear we were in. 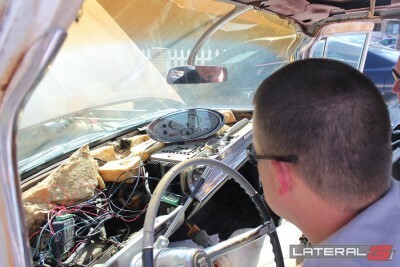 None of these were problems and could easily be handled by Dakota Digital. 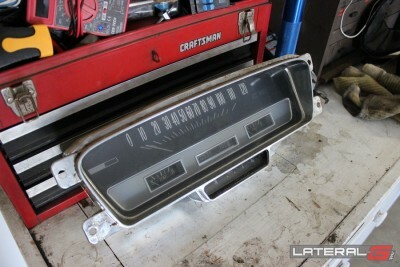 They sent us out the universal gauges, along with two of their expansion modules. 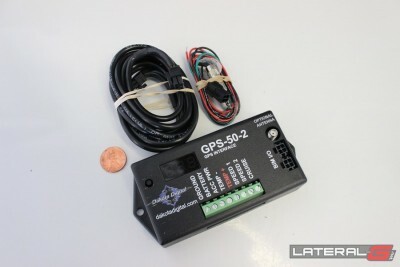 The first is the GPS-50-2, which adds a GPS speed signal, outside air temperature, compass and GPS clock to the VHX gauges. 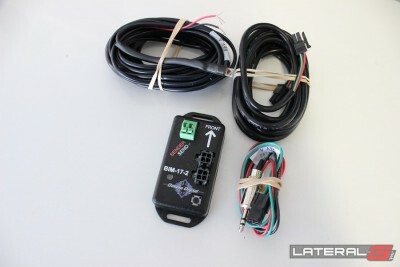 This one module knocked out almost all our requests. The second was being able to know what gear we were in, so they also sent a Universal Gear Shift Selection Unit. 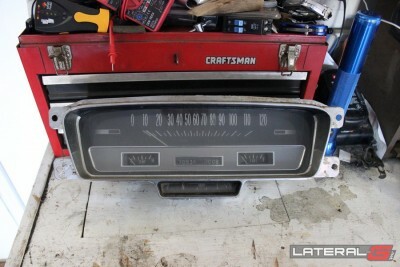 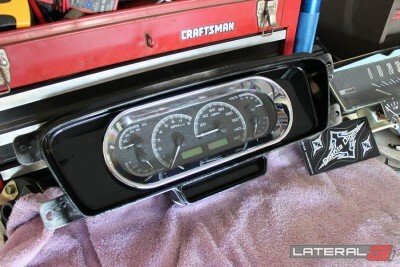 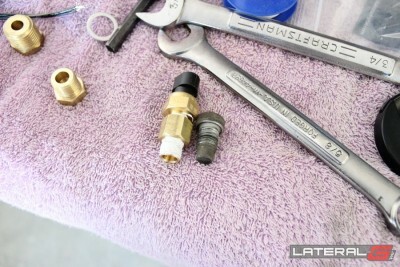 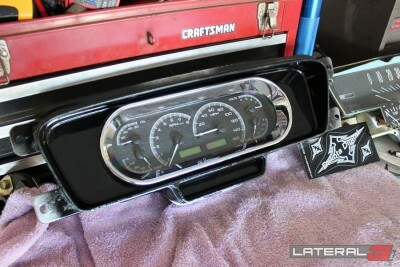 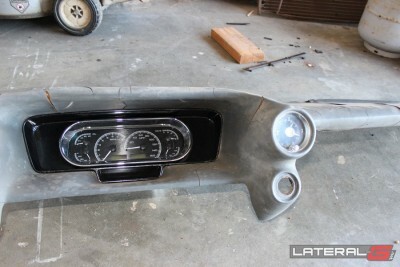 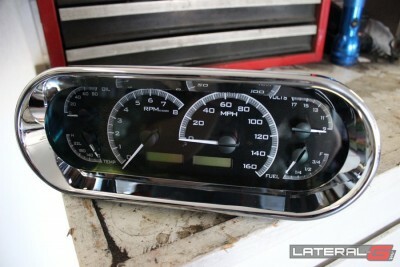 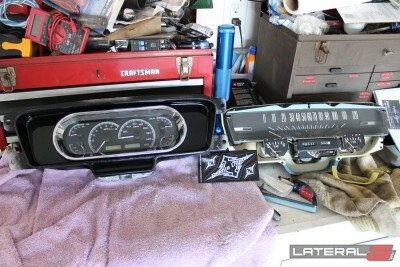 To start, Dakota Digital doesn’t make a direct-fit set of gauges for every car known to man. 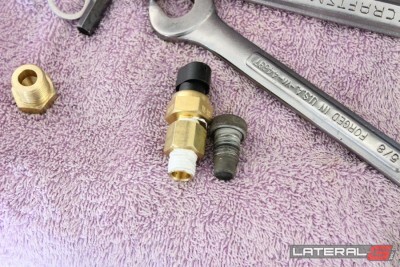 However, they do make a few different universal clusters that will handle just about every application out there. 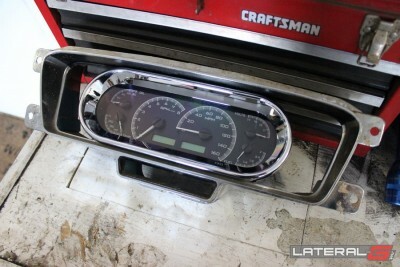 If you don’t like those, they also make a more traditional individual gauge style that allows you to adapt the gauges to anything with wheels. 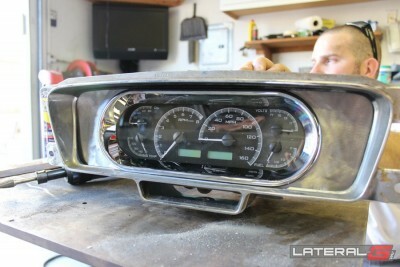 For us, the simple VHX-1018 universal cluster fit the bill. 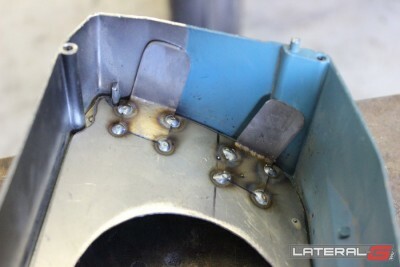 We started by measuring the gauge housing on the factory cluster to ensure that these would fit inside it. 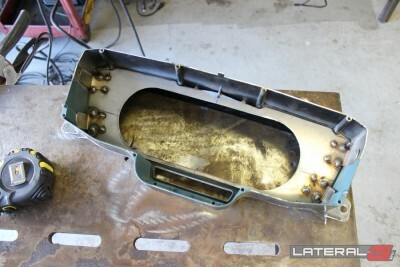 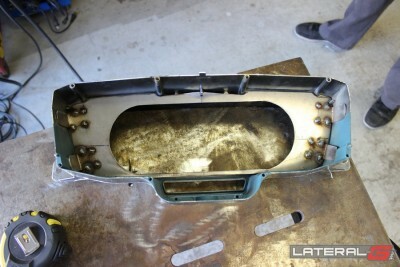 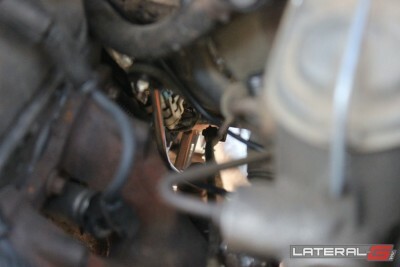 From here, we disassembled the gauge housing, and retained the factory housing. 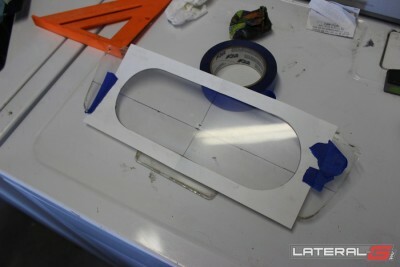 Using a piece thick paper, we made a template, taking our time to get the fit perfect. 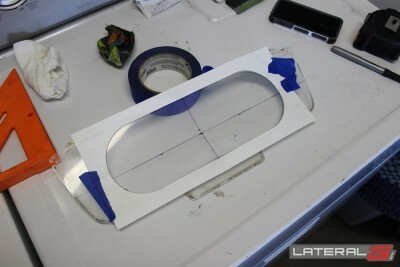 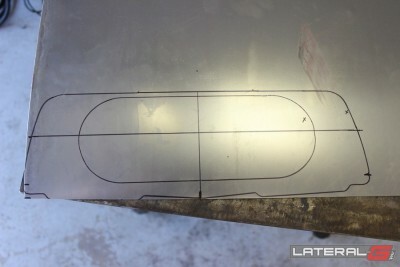 Using the supplied VHX template, we marked the sheet metal piece. 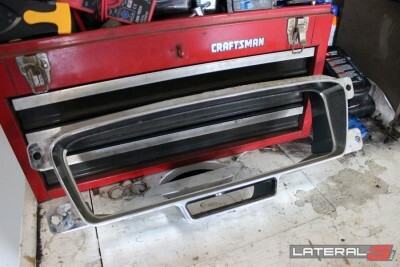 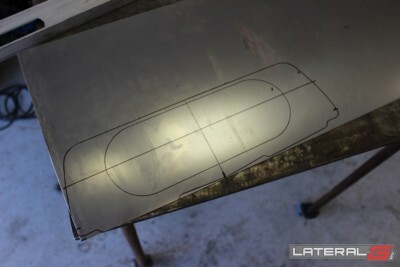 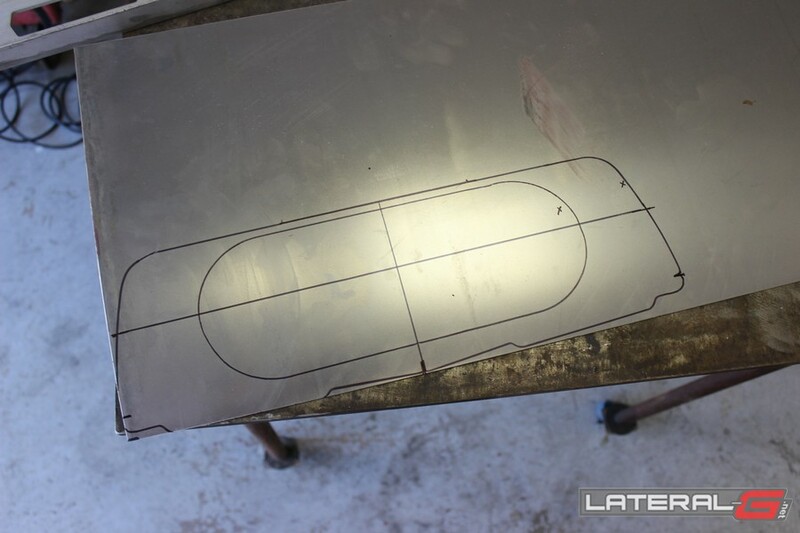 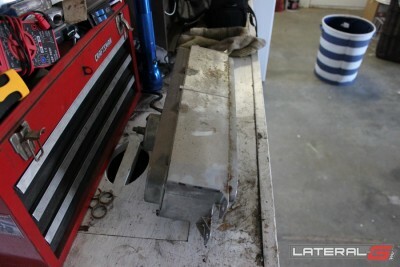 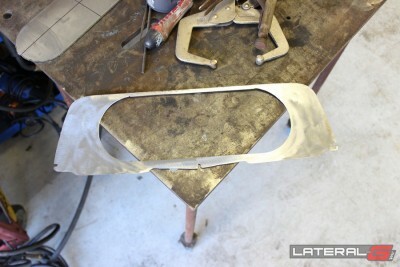 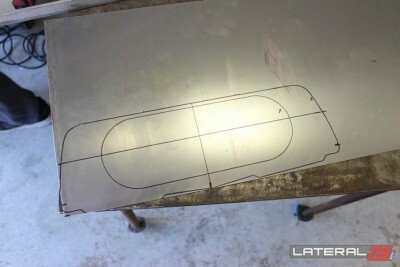 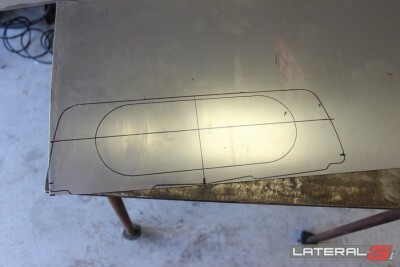 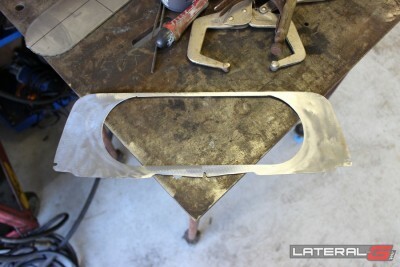 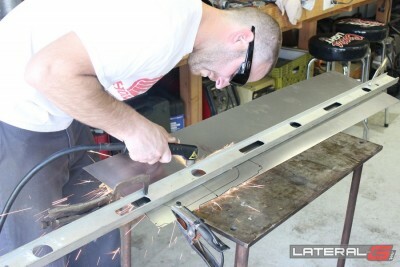 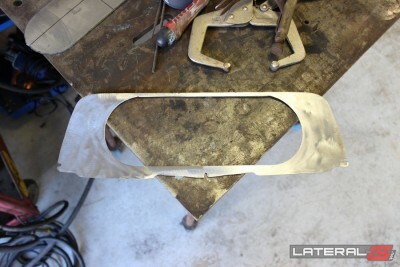 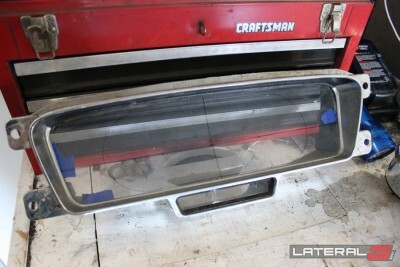 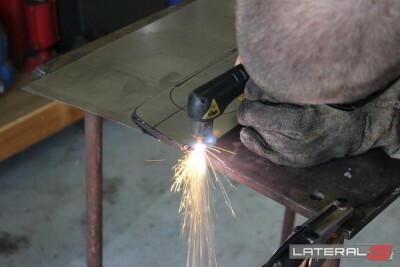 After everything was marked, we started by using a plasma cutter to cut the majority of the sheet metal out. 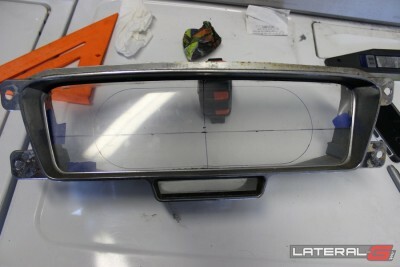 Then we used grinders to finish off the rest and clean it up. 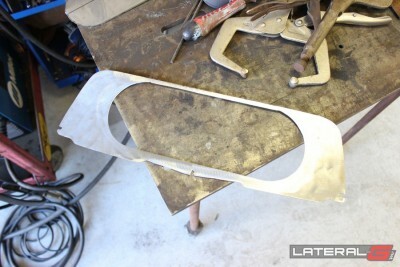 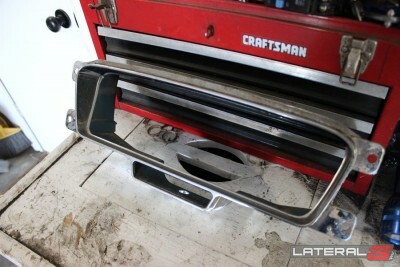 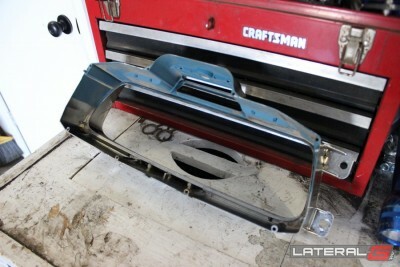 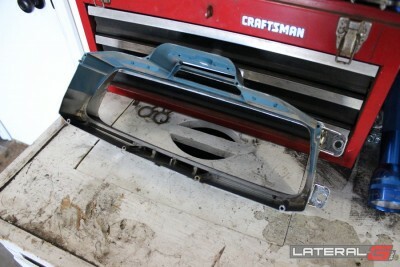 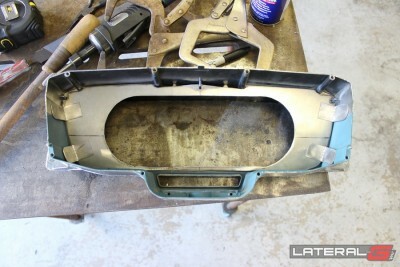 This part is by far the hardest part, as it takes a lot of time, test fitting, and re-grinding. 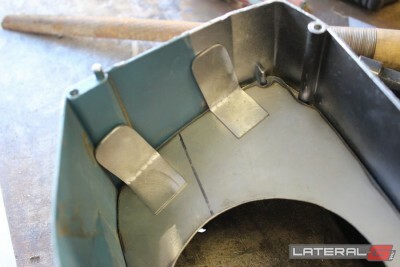 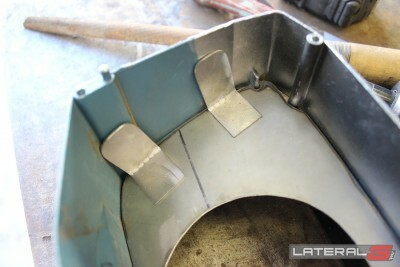 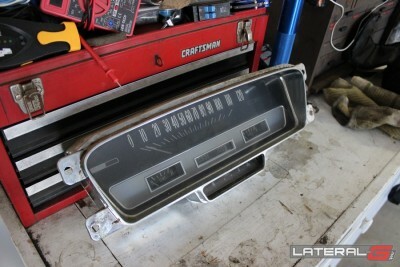 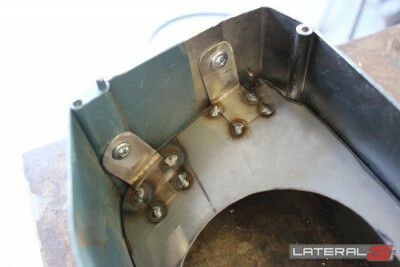 Once the gauges were inside the housing, the hard part was done. 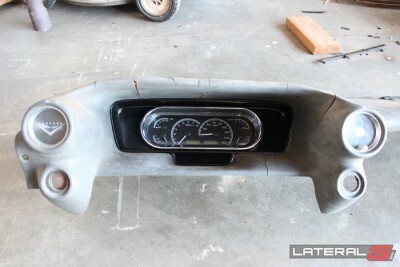 From here we started on the wiring of the gauges. 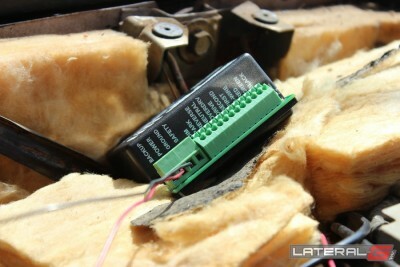 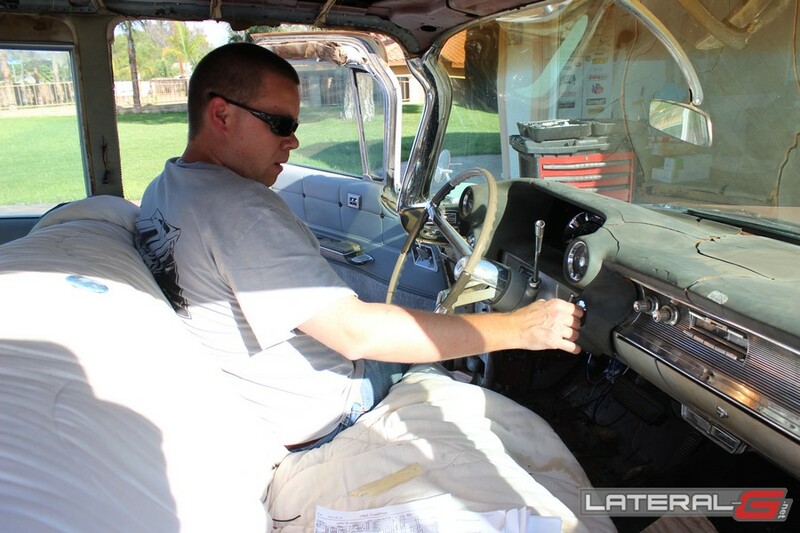 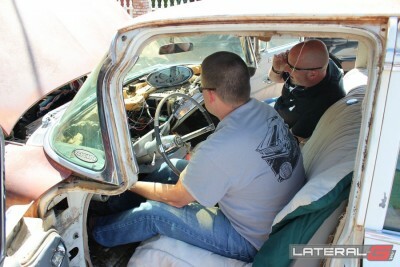 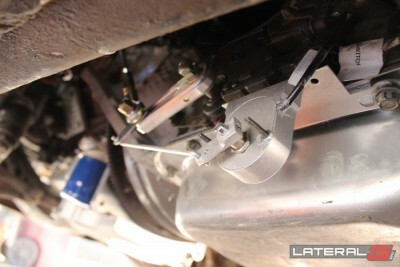 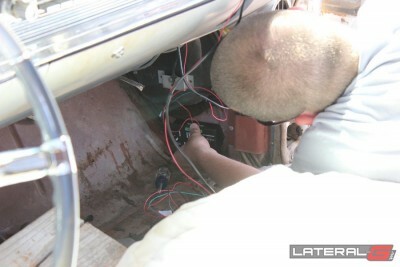 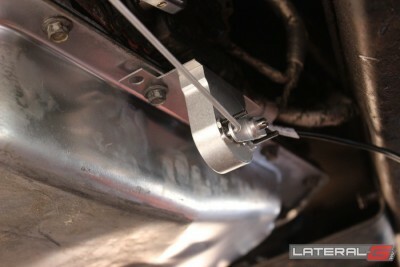 If you followed along on our 1965 Chevelle VHX install, you’ll know that wiring is easy-as-pie for these gauges. 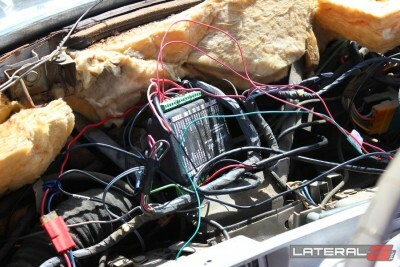 We mounted the computer for the VHX gauges, then wired up the regular wires such as hot, hot-in-run, ground and the indicators for turn signal and headlights. 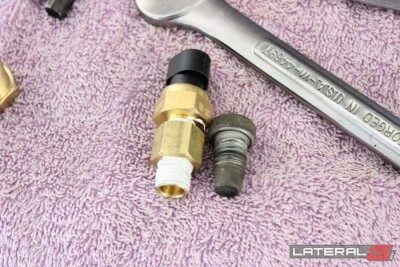 The VHX gauges also come with their own water temperature and oil pressure sending units along with the wiring, making installation a snap. 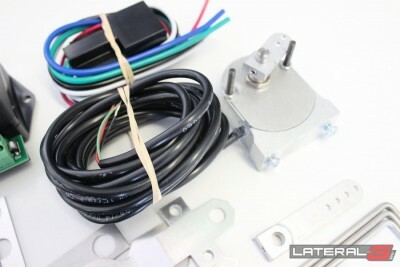 With the basic gauge wiring complete, now the time for adding on the expansion modules came. 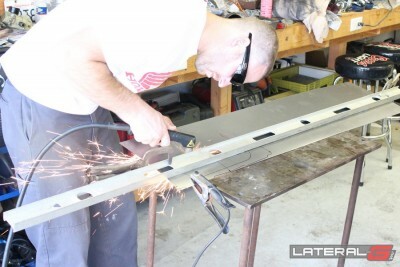 Dakota Digital’s Justin Olsen personally swung by to help with the installation of these modules and answer any questions we had. 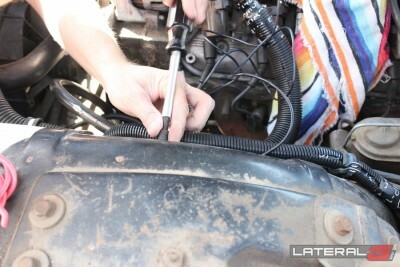 He was very informative, showing us a few tips and tricks to make installation even simpler than it already was. 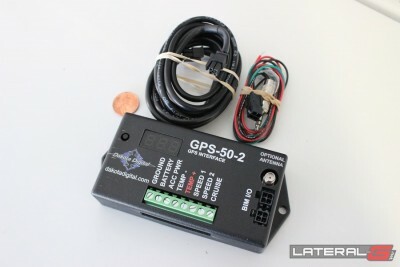 The first module to be installed was the GPS-50-2, which handles the GPS speed signal, outside air temperature, compass and a GPS clock. 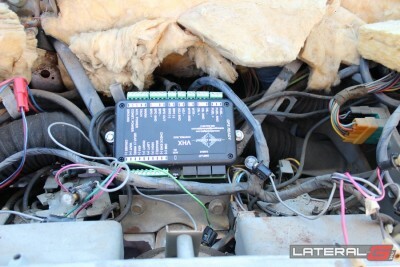 This module will display all the information on the built-in read outs on the VHX gauges. 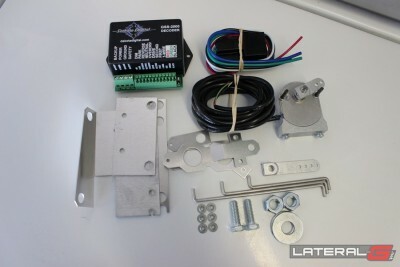 For the actual box itself, you’ll want to install this somewhere that has a fairly clear view of the sky. 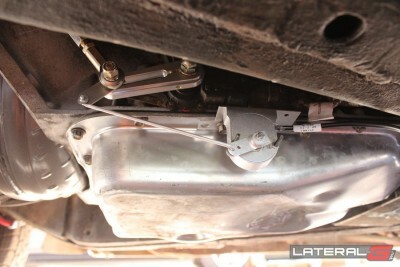 In other words, under the car, next to the frame or near the engine wouldn’t be the best choice for this unit. 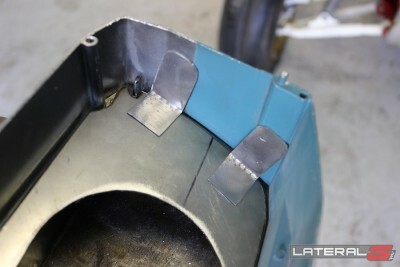 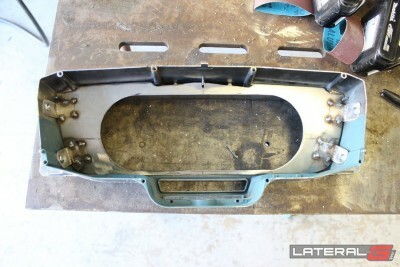 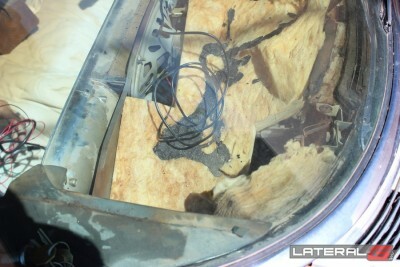 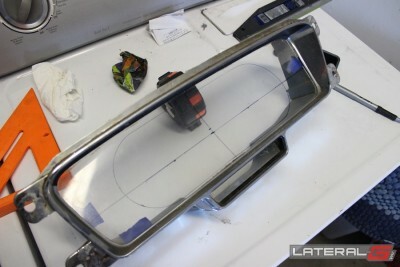 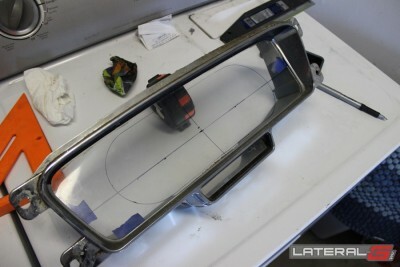 Olsen showed us that behind the passenger side kick panel would be a great spot. 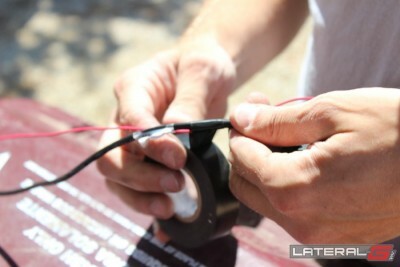 If you can’t find a spot that will work, an optional GPS antenna can be purchased and tucked away for better reception. 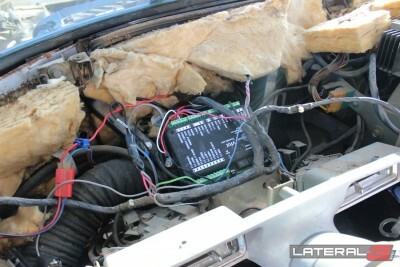 Wiring up the unit was straight forward, taking Olsen about twenty minutes to complete. 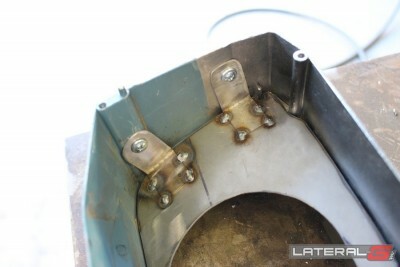 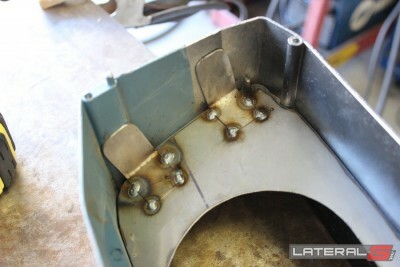 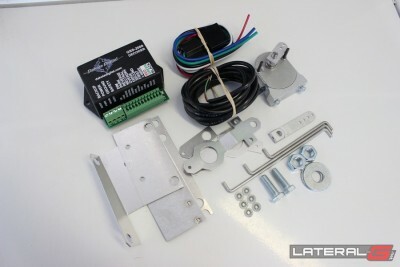 There was a basic set of wiring, such as hot, hot in run, and ground. 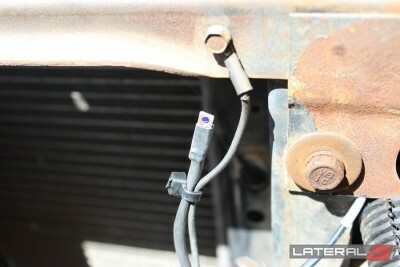 A single plug attaches to the secondary computer which has the wire for the outside air temperature. 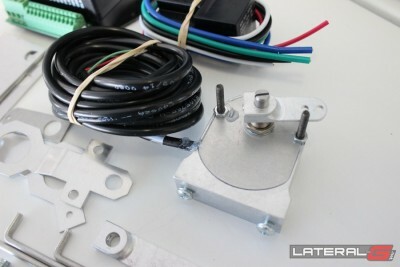 We mounted this in front of the core support, behind the grill, where engine temperatures or under hood temperature wouldn’t give us a false reading. 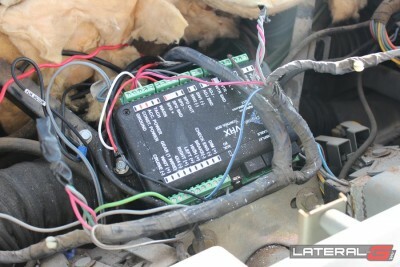 Lastly, a single wire comes from this secondary computer over to the the main computer to give it all the information it needs. 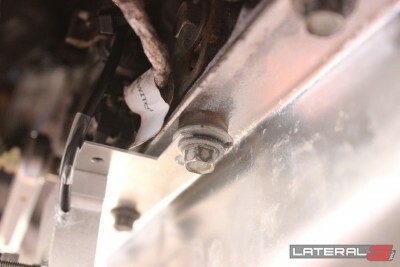 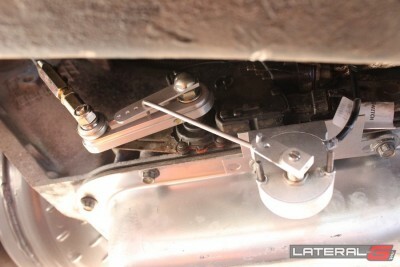 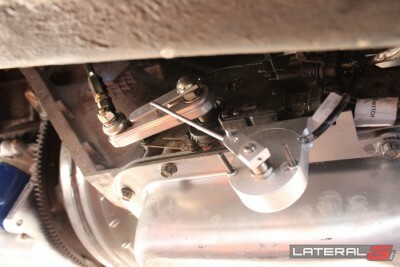 The last part of the installation was the Universal Gear Shift Selection Unit, or GSS-2000. 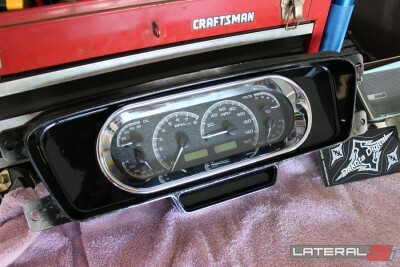 This is a module that physically mounts to the transmission shift lever, sending signals to a computer that then displays your gear selection on the VHX gauges. 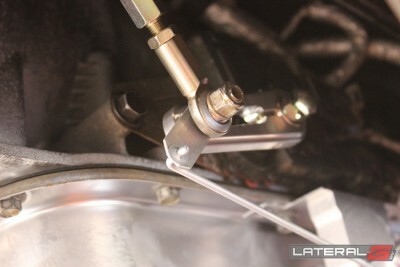 Just like everything else, installation was straight forward and easy. 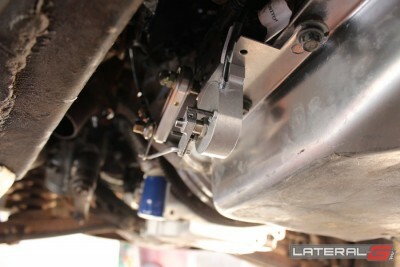 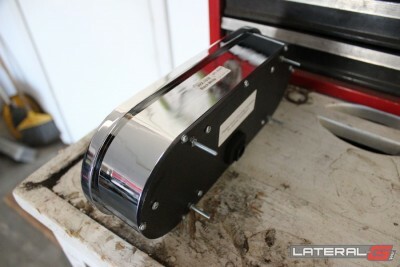 The hardest part was the actual installation of the module that mounts to the transmission itself. 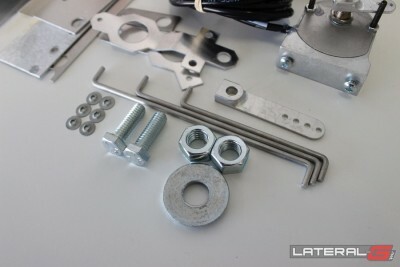 Dakota Digital supplies numerous mounting plates and linkages, but we took our time to make sure that nothing was binding up, going to hit anything, or have any sort of issues down the road. 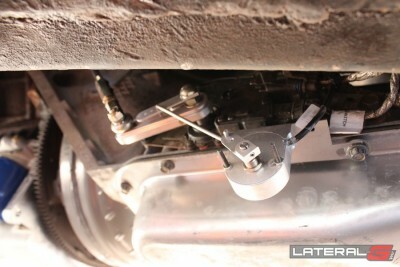 Cycling through the shifter numerous times while having somebody watch the linkage and module was good insurance against any future failure. 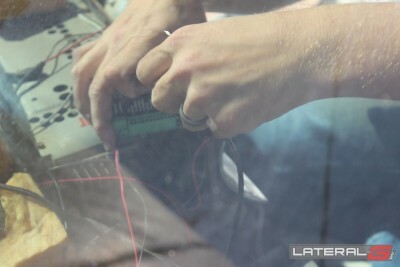 With the module in place, a third computer is wired up requiring the same type of wiring as the first two – hot, hot in run, ground, etc. 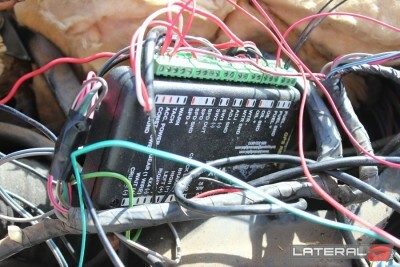 Then the set of wires from the module was snaked up and wired in. 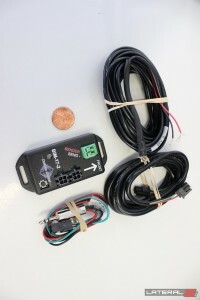 Programming the unit to know the different stops during shifting was straight forward, with bright flashing lights and took Olsen all but two minutes to accomplish. 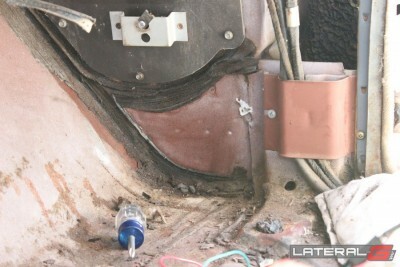 The last step of the installation was to add the wires that allow the GSS-2000 computer to talk to the VHX gauge computer. 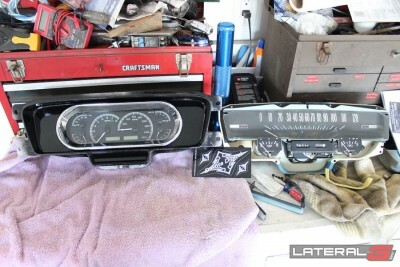 The very last part of the installation was setting up the actual VHX gauges. 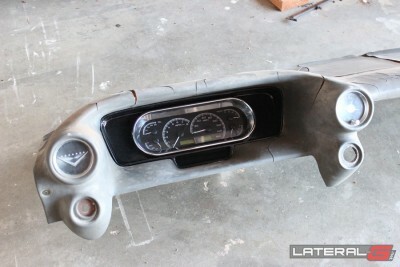 This is by far the easiest part, requiring you to only push a button and go through a few menus. 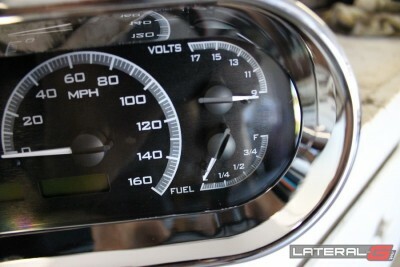 This is required so the computer can properly display tach, fuel, speedometer, etc. 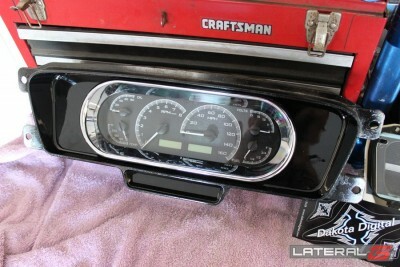 Setting up the gauges also allows you to turn on and off certain information from being displayed, such as the clock, top speed, or the full gauntlet of information that can be displayed. 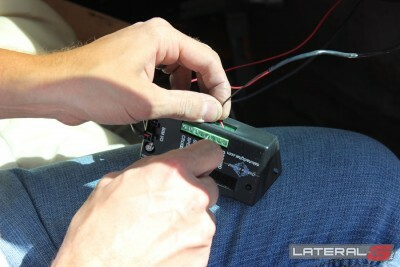 Since we are using the GPS unit, we didn’t have to set up the speedometer, it starts displaying right off the bat. 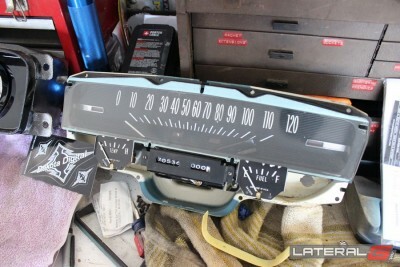 The next time you’re looking for something more than the basic set of information, give Dakota Digital a look. 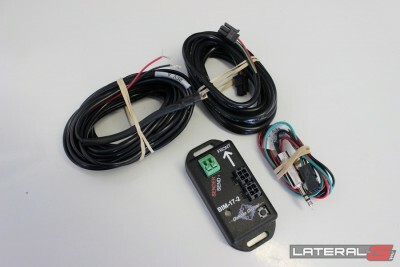 They have a big line of expansion modules that can display more information than a NASA space shuttle, all at your fingertips. 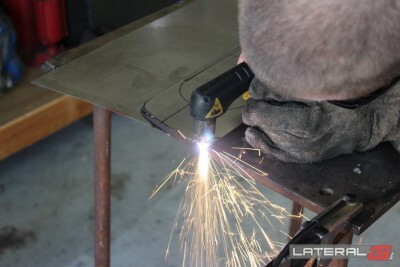 For more information, call Dakota Digital at 1-800-593-4160, or hop on their site to see the full product line!